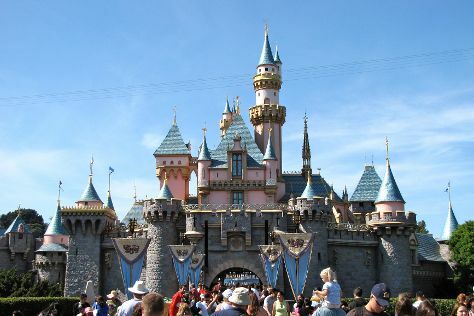 You'll find plenty of places to visit near Los Angeles: Anaheim (Disneyland Park & Disney California Adventure Park). Pack the 4th (Sun) with family-friendly diversions at Universal Studios Hollywood. There's lots more to do: see the sky in a new way at Griffith Observatory, see the interesting displays at The Getty Center, don't miss a visit to Walt Disney Concert Hall, and appreciate the extensive heritage of Hollywood Walk of Fame. To find reviews, other places to visit, ratings, and other tourist information, you can read our Los Angeles trip planning tool . New York City to Los Angeles is an approximately 9-hour flight. You can also do a combination of bus and flight; or drive. The time zone difference moving from Eastern Standard Time (EST) to Pacific Standard Time (PST) is minus 3 hours. Traveling from New York City in August, you can expect nighttime temperatures to be little chillier in Los Angeles, with lows of 66°F. Cap off your sightseeing on the 6th (Tue) early enough to travel to Denver. Go for a jaunt from Denver to Idaho Springs to see River Rafting & Tubing about 38 minutes away. Next up on the itinerary: browse the exhibits of Denver Botanic Gardens, admire nature's wide array of creatures at Denver Zoo, learn the secrets of beer at a beer tour and tasting, and look for gifts at Twist and Shout. For ratings, other places to visit, traveler tips, and other tourist information, read Denver trip planner . You can fly from Los Angeles to Denver in 4.5 hours. Other options are to do a combination of flight and bus; or drive. Traveling from Los Angeles to Denver, you'll lose 1 hour due to the time zone difference. Plan for little chillier nights when traveling from Los Angeles in August since evenings lows in Denver dip to 58°F. On the 9th (Fri), wrap the sightseeing up by early afternoon so you can travel back home.